Nilkamal brings to your home the beautiful Small Stones Pebble Jar (Black & White) to decorate your living room in style. The Small Stone Pebbles Jar (Black & White) is the perfect knick knack to elegantly enhance the beauty of your home. The Small Stone Pebbles Jar (Black & White) consists of a glass mason jar, a cork and small pebbles with smooth edges and texture. The glass jar measures 7 cm in width, 7 cm in depth, and 13 cm in height. It is filled to the brim with numerous small, black and white pebbles. Stones and pebbles are said to represent solidity, stability and humility. They are said to bring energy, luck as well as a long life. White stones are known to be the embodiment of new beginnings, purity, freedom and hope. In contrast, black stones are popular for deflecting negative energy. They are also said to have healing powers. With this beautiful package of small stones pebble jar, you can enrich the atmosphere of your home. Place it on your coffee table or in your showcase to add a look of modernity. This pebble jar will prove to be a wonderful addition to your collection of knick knacks. 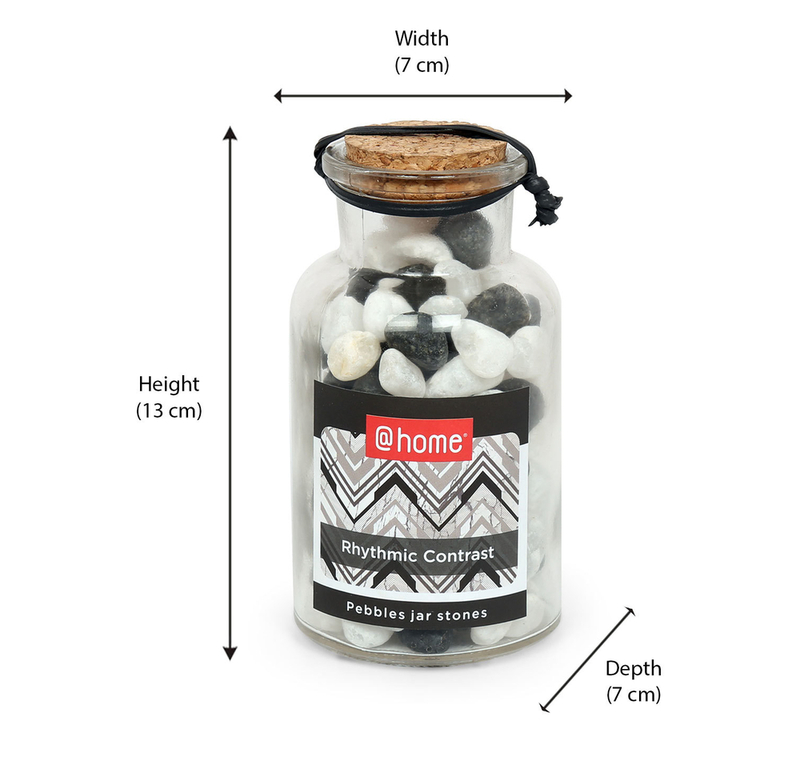 Buy the Small Stone Pebbles Jar (Black & White) @home.